Compatible with Apple MacBook Pro Unibody 13" A1278 Early/Late 2011. Apple 2.3GHz i5 Logic Board Motherboard Main Board. ASUS P8P67-M Sockel 1155 Mainboard / Intel Core i5 3350P / 16 GB RAM !!!TOP!!! ATX Mainboard ASUS P8P67-M. Geprüft unter Windows 7 x64 und voll funktionsfähig! Socket 1155. 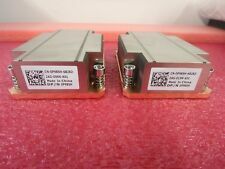 2 x SATA II 6Gb connector. 4 x SATA connectors (RAID,0,1,10,5). 4x 4 GB DDR3 1600 RAM. PCI-E x16 slot / PCI-E x4 slot / PCI-E x1 Slot. KIT SCHEDA MADRE ASROCK CPU INTEGRATA INTEL J4005M RAM 4GB DDR4 2400mhz . Sockel AM3. Kühler Arctic Cooling Freezer13. - Gebraucht, geprüft, technisch und optisch in Ordnung. Micro ATX Mainboard. AMD Athlon X2 250 3GB. Condition is Used. GPU: MSI GeForce GTX 960 GTX 960 2GD5T OC 2GB 128-Bit GDDR5 HDCP Ready SLI Support ATX Video Card. PULLED FROM HDD AND BATTERY MACBOOK. USED LOGIC BOARD. Arbeitsspeicher (RAM). Aufrüst Bundle - ASRock 960GM-VGS3 AMD FX-6100 8GB RAM. Aufrüst Bundle ab. 1 x ASRock 960GM-VGS3 FX AMD 760G Mainboard Micro ATX Sockel AM3 AM3 . Aufrüst Bundles. Video / TV-Karten. Excellent working order. Fully tested. Very capable bundle. Excellent working order. It comes with dual core processor, 2GB DDR2 RAM, cooler and I/O shield. 4 x DIMM, Max. 32 Go, DDR3 2800(O.C.)/2600(O.C.)/2400(O.C.)/2200(O.C.)/2133(O.C.)/2000(O.C.)/1866(O.C.)/1800(O.C. )/1600/1333 MHz Non-ECC, Un-buffered. ASUS WS Diag. LED ASUS WS 3 couleurs. - ASUS Q-DIMM. ASUS M5A97 LE R2.0 AMD Motherboard Combo w/ AMD FX 8350, 8 GB Ballistix RAM. Condition is Used. Shipped with USPS Priority Mail. GIGABYTE GA-Z68XP-UD3 & Intel I7-2600 & 16GB DDR3 1600 RAM . Condition is Used. Shipped with USPS Priority Mail. Socket LGA1155. Graphics Output DP DVI-I DVI-D. Integrated Graphics. - Graphics Specifications. Max # of DIMMs 4. Board Form Factor Micro ATX. Fonctionne très bien! Envoi rapide et soigné! Socket LGA1155. USB Revision 3.0/2.0. # of USB Ports 12. Audio (back channel front channel) 6,2. Serial Port via Internal Header Yes. # of Serial Ports 1. Parallel Port via Internal Header No. # of Parallel Ports 0. Including two heat sinks as shown in a separate photo. Freight quotes are approximate. Is any special handling required?. Do you require a lift gate for unloading?. Is there a loading dock, and/or fork lift truck available for unloading?. For sale Motherboard and CPU Combo. ASRock H61M-GS Motherboard CPU cover I/O Shield. Seagate ST1000DM003 is probably one of the quickest 1TB hard drives out there (100MB/s minimum read) so the system is very snappy. Arctic Freezer 11 LP Cooler Box. AMD FX 4130 CPU @ 3.8GHz. MSI 760GB-E51 (FX) Motherboard. Heatsink might vary a bit from the photos. Includes IO Shield. New NVIDIA Jetson NANO Developer Kit. Your Jetson Nano Developer Kit box includes Jetson Nano Developer Kit. Small paper card with quick start and support information. Folded paper stand. You’ll also need. MSI H61I-E35 V2/W8 Motherboard. 4GB DDR3 RAM. I5-3470T up to 3.6GHz CPU. Audio ports (Rear) 3. USB 2.0 ports (Rear) 4. LAN 10/100/1000 1. TPM (header) 1. PCI-E Gen Gen3 (1x16). Single CPU Prozessor-Board für den Apple Mac Pro 5,1 (2010). Kompatibel auch zum Mac Pro (2012). 〉 RAM | Arbeitspeicher. 〉 GPU | Grafikkarten. auf der Beschädigungen der Kaufsache infolge unsachgemäßer Nutzung oder Aufbewahrung durch den Kunden selbst oder Dritter, beruht. Motherboard bundle pulled from working systems. Includes Motherboard(mATX) (Rev 1.1), CPU Cooler, Ram 2 x 2GB. Includes sata cable and back plate. SSD Datasheet (CT128M4SSD2). Motherboard Datasheet. Apple Mac Pro Processor Tray. If you have an original 5,1 model (2010 or 2012, not 2009 4,1) single processor mac pro just pop this tray in for an instant upgrade to 12 core processing. Apple Computers. AMD Bundles - X8 Core. AMD Bundles - X2 Core. ASUS M5A78L-M USB3, SKT-AM3 Motherboard. AMD Bundles - X4 Core. AMD Bundles - X6 Core. AMD Dual Core Units. AMD AM3 Vishera FX-8350 (4.0Ghz X8). AMD Quad Core Units. DQ77MK BULK. Core i7 / i5 / i3 (LGA1155). Physical Spec. Onboard 1394. 2 x USB 3.0 4 x USB 2.0. Onboard USB. Internal I/O Connectors. Audio Ports. NVIDIA Jetson Nano developer kit is a low-cost AI computer. Aufrüstkit 32E - AMD FX-83ßß. Dann erwerben Sie die passenden Aufrüstoptionen zu diesem System AMD 8-Core FX-8300 / ATX Asus M5A78L-M LX / Radeon 3000 Grafik. Zubehör Kurzanleitung, Handbuch, Treiber-DVD, zwei SATA-Kabel, ATX-Blende. Peripherals -2x Sata cable and the original I/O plate, as pictured.